What does it cost to compete in a bikini competition? If you are contemplating a journey to the stage, my goal here today is help you navigate the cost of competing! First of all, I believe that if you are reading this, you have been in the process of searching. You’ve been looking at Instagram and seeing all the gorgeous competitors. You’ve thought about bikinis and maybe you don’t actually know where to start for this process! So let’s make a plan. I’m assuming you have one. You need one. Cost will depend on your area. If you need to train at 3:30am because that’s when you can do it.. get a 24 hour one!! I own a gym. I have two other gym memberships too. One is the biggest gym in STL and the other is a 24 hour one. I need to train when I can!! I love being a coach!! My girl Julia and her hardware!! I fully believe that ALL first time athletes need a competition coach. I don’t believe all competition coaches are good or qualified. I believe that YOU must interview your potential coach and get as much information as YOU can about what your coach will do for you. If your coach only gives workouts, no support, no information, no posing, nothing but a cookie cutter diet and that’s ok with you.. you can find so many who will take your money. Your coach might be online, or in your area. Decide which you prefer!! If you have actual personal training time with your coach, you are going to pay a lot hourly. I charge $75 per hour for privates. Some charge more!! Please do your research and learn as much as you can about how your competition experience will be. Finances: Many coaches make you sign a full year contract that includes off season and prep. You can pay anywhere from $150 monthly to several hundred dollars a month. Phone calls from the best coaches can be up to $600! I know because I requested one!! Some coaches will require you to pay in full ahead of time for your prep. That could run you $600 or more. Coaching is generally non refundable and non transferable. If you don’t keep your end of the bargain, you can be dropped for non compliance. This may upset some people but if a client is not ready for stage because they are not following their plan, that falls on the client. As a Client it’s YOUR job to hire the best person then follow through. Our bikini team offers a monthly package of $175 on an auto bill. We require our clients to stay with the team for at least one month past their show so we can help them reverse diet. You may also find coaches who will do monthly payments as well. I found a coach who is super cheap!! You probably found a coach who hands out cookie cutter diets and workout plans. I want to stress to you.. Find the right person and pay them to help YOU. Run away. Trust me, every client is different! I’ve seen this so often and it’s a low calorie, low carb,restricted plan. Find someone who is a good fit for YOU. Did I stress this enough? Do you need more help choosing a coach? Look here! Karina posed with our Skype posing coach and it was a game changer. create a presentation for the federation you want to compete and they will be vested in your progress!! You can look to some amazing Skype coaches as well as local ones. Please do your homework. Posing will cost $40-60 per hour. Do not make the mistake of skimping on your presentation. Hire someone who will be truthful and honest and help you win. If your posing coach has no idea what to give you for your federation, find someone else! Don’t waste your money. Your posing coach should pose your early and then tweak you again when you are stage lean. Things a look different when you are stage lean!! Do not wait! If you made the decision to compete, hire a coach right away! Just a smattering of my supplements. The basic supplements you may be using for bikini are Whey protein (or the equivalent), BCAAs, Pre-workout, multi vitamin, fish oil etc. I know, I know.. you might know someone who did it without any sups. That’s awesome but most of us will be taking at least a protein supplement. My first coach had me on a vitamin regiment that was about $200 a month and I purchased from her friend. ASK questions before you sign up!! Items like Whey will range from about $30-50 a tub. Shopping places like Amazon, Body building.com and local stores, you can get rewards, points or sales. Basic supplements will cost $100 a month give or take. If you are eating Bro (turkey chicken or fish and veggies) your grocery bill is going to be spent on all of that!! Walmart, Costco, Sams, these are great places to stock up! If you are IIFYM you can have more choices but you can still stock up!! Depending on prices in your area, you will spend a good amount on food. Athletes pretty much eat all the time. I spend about $175 a week on my prep food. Stage Bikini’s come in all price ranges!! If you want to have super blingy suit you can spend as much as you want!! My first two suits from Ravish Sands were $650 each. I have gone to sequin suits now because I can compete in more than one in my show. I love them. They are fantastic on stage! I paid between $150 -$185 for my sequin suits. Plain suits can be purchased too. Most sites have plain ones for sale so you can really choose one based on your budget. If you are so inclined, you can purchase your own crystals and bling your own. Suits are ordered 8 weeks out. Do you need more info on choosing a suit? Rental: Of course you can rent or buy second hard also!! Facebook has several groups for reselling! Stage shoes : Most of us will wear the basic style 5 inch clear heel from Ellie “Brooke”. This shoe is amazing. It fits great. Easy to walk in too! You can get them on Amazon for about $30. Of course you can choose your own shoe style and bling. Price range is up to you!! Advice: Buy two pairs. I’ve seen girls blow out a pair of heels backstage and hobble out. I’m an over thinker. Jewelry: We love our bling!! I have a huge collection of stage jewelry that I’ve accumulated. Let me tell you a secret.. don’t spend a fortune! It gets janky from the tan and it can get lost. I’ve been at so many shows where someone broke an earring or needed a bracelet and someone gave them their extras. I purchase my jewelry locally at the import stores. They have huge selections and I got 10 pieces for about $70!! 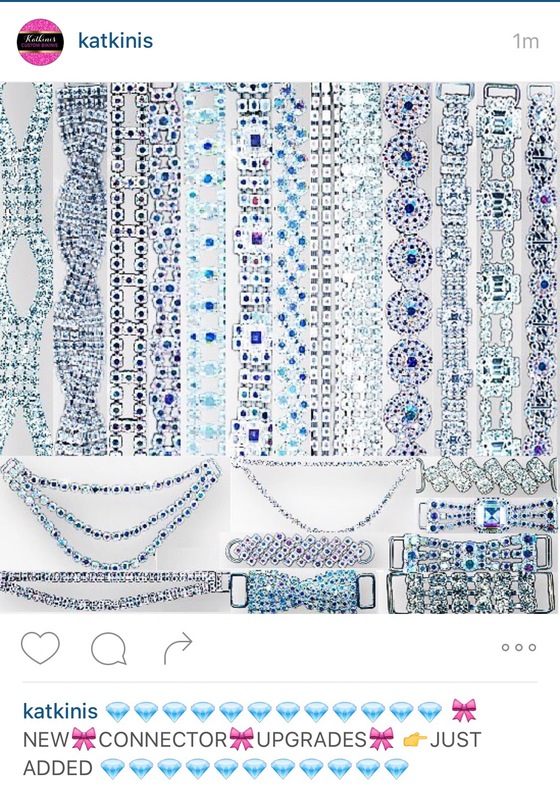 Amazon has blingy jewelry and you can search IG for the high end suppliers to competitors. I find it’s not worth the expense because backstage is very chaotic. I’ve lost plenty of things!! Save your good jewelry for date night!! This is where you do NOT want to skimp!! Please hear me on this. You have trained and dieted for months so do whatever it takes to bring your best package to stage. You will tan with your backstage tanner. Don’t go to the local tan company and try them out. Your stage tan is unique!! It does not have DHA so it will wash off and you do NOT want to look green on stage!! Your tan will be $100-$200 and you will receive touch ups all day backstage. You should have your tanner providing you with gloss and glue too! The tanning backstage is generally wonderful! Ok listen to me now.. you are in a subjective sport. You may find a judge that likes blondes better than redheads. You have one who loves girls in blue suits but hates red because his ex wife wore red. So the only thing you can do is bring your best package. The overall package will win. If you want extensions and you love your look, do it. If you rock a look that isn’t at all you, it will show! Be the best version of YOU and rock it like you are Beyonce. Get your nails done with Gel so the tan will not stain it. That’s an additional 30-40 dollars and remember you need to do your toes in Gel too. The top coat is fine. Hair:/makeup: Can you do your own stage hair? If you are good at it.. awesome. I can’t. I’m far to hungry and emotional to do anything day of show. I use my own hair and makeup artists. Private Artists: Search Facebook Makeup artists group and find the best one for you. You will have to pay travel for some artists but if you work with them ahead of time, you can show them the look you want. I’ve paid $180 for makeup with travel. Do I recommend it. Yes I do. I need 3 hours to get my look together. That’s just me. Doing your own makeup: I set out to do my own makeup. I took lessons from an artist. That cost me about $100 per lesson. I purchased a rolling makeup kit and about $650 worth of the right color cosmetics for stage. I ended up paying an artists simply because I ‘m too low carb to do much day of show. Some ladies are skilled. Here’s more on makeup if you want to try to do your own. Photography varies by photographer!!! Backstage photography is worth it!! At UFE I paid $75 for 10 pics. Stage pictures were about $200. Photoshoots: As you are stage lean, you will book your own photoshoot!! This is well worth it!! We shoot in every competition season!! You can do your research on quality photographers who shoot fitness. Prices will vary in your area. Karina always had bomb shoots around her shows! LOVE this. I know you are working hard. I hope this helps! I wish you so much luck on your plan! Baby Iggy has no knowledge of competition costs but he supports our desire to shine. I haven’t posted a good booty workout for a minute!! I did this one today. It’s my second leg day and I focused on glute activation. Goal is 3-4 rounds with purpose. Glute activation and zero slacking! Warm Up: be sweaty and ready .